In this guide you will create an application from scratch. The objective is to introduce you to wolkenkit, its structure and mindset, so that you get a first impression of what software development with wolkenkit looks like. Your application will be a chat that allows sending and receiving messages in order to talk to other users. Additionally, users are able to like messages. In contrast to creating your first application, you will now create the entire application from scratch by yourself. Sent messages are visible to all users. When a user enters the chat they are shown the previously sent messages. When a user receives a message the UI is updated in real-time. 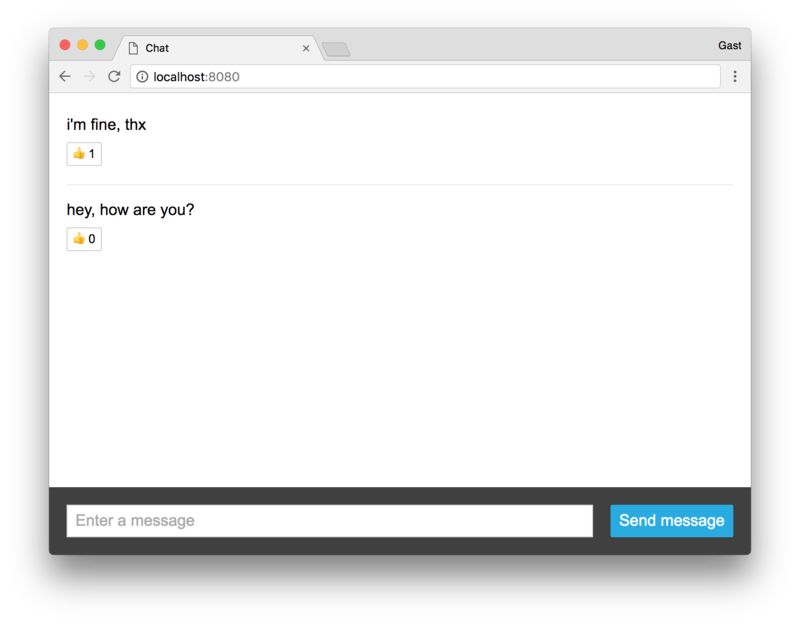 Sending and receiving messages is possible using an API. Sending and receiving messages is encrypted. There are no chat rooms. There are no private messages. Now, let's get started and do some modeling with your team!